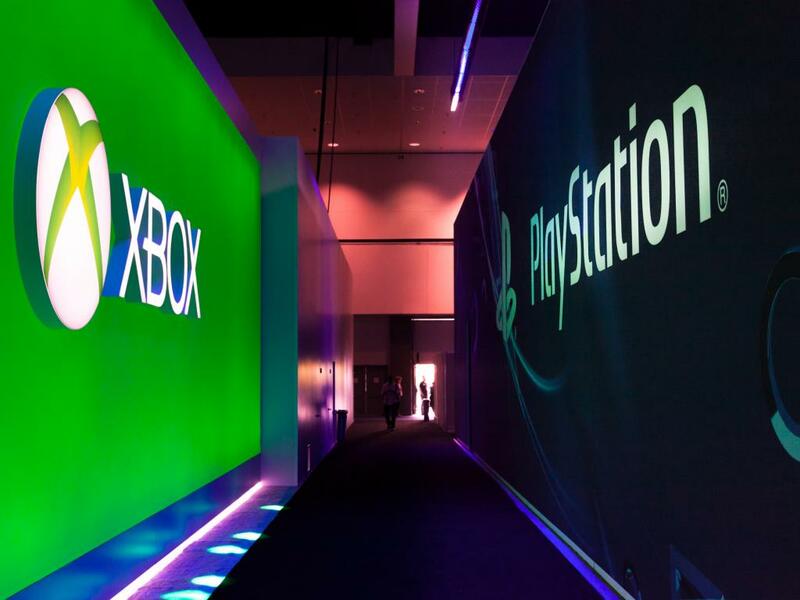 More consumers want Sony's (NYSE: SNE) PlayStation 4 than any other game system. 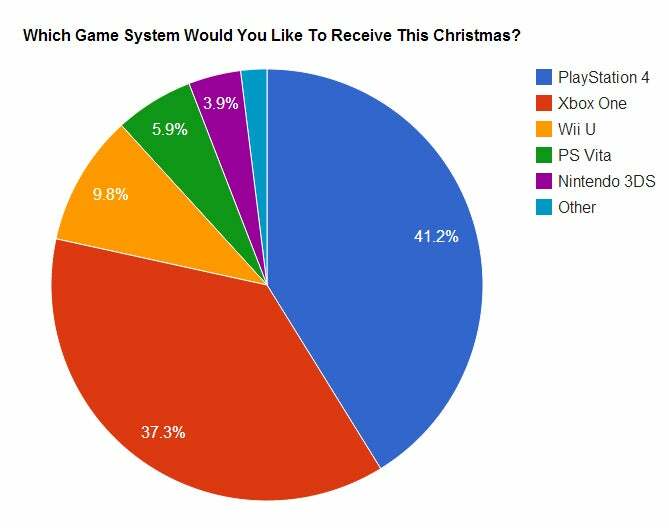 Which game system would you like to receive this Christmas? 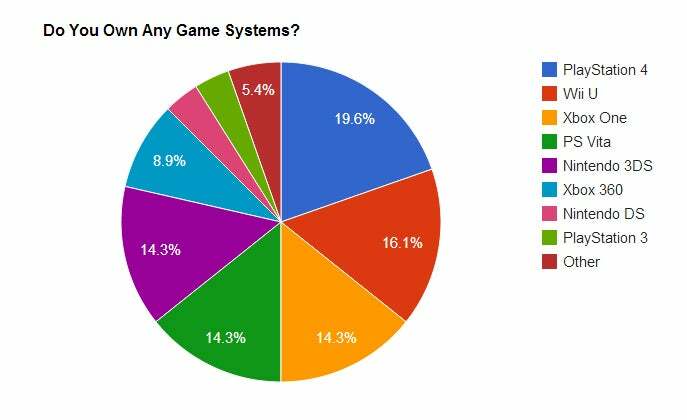 Which game system are you most likely to give as a gift? Benzinga also asked its readers to list the game-specific devices that they already own. All three categories were dominated by PlayStation 4. Just over 41 percent of respondents said that they wanted to receive Sony's newest game system this Christmas, beating Xbox One (37.3 percent) by a small margin. Only 9.8 percent of respondents said that they would like a Wii U sitting under the tree. PS Vita, which enjoyed a small sales boost after PlayStation 4 was released, is in higher demand (5.9 percent) than the Nintendo 3DS (3.9 percent). This could be due to ownership and demand. Global Nintendo 3DS sales are approaching 40 million units, while PS Vita's sales are still below 10 million units. Since more consumers already own a Nintendo 3DS, they are less likely to want one as a gift. Nintendo 3DS and PS Vita ownership proved to be fairly equal among those who participated in the poll, however. Just over 14 percent of respondents said that they owned these handhelds. An additional 14.3 percent own Xbox One. An unexpectedly large number of respondents (16.1 percent) said that they owned a Wii U.
PlayStation 4 still reigned supreme with 19.6 percent of respondents stating that they own the one-month-old console. Believe it or not, only 8.9 percent of respondents claimed to own an Xbox 360. That seems a bit odd considering that the console has sold 80 million units worldwide. 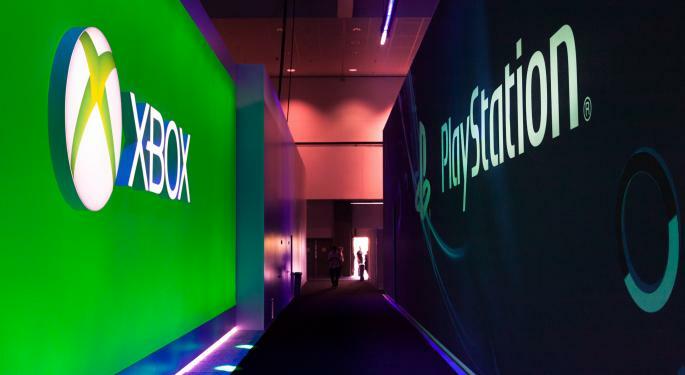 Roughly 37 percent of respondents said that they were most likely to give PlayStation 4 as a gift, while 33.3 percent said they were most likely to give an Xbox One. Wii U came in third place with 19.6 percent of respondents saying that they were most likely to buy that console for someone. 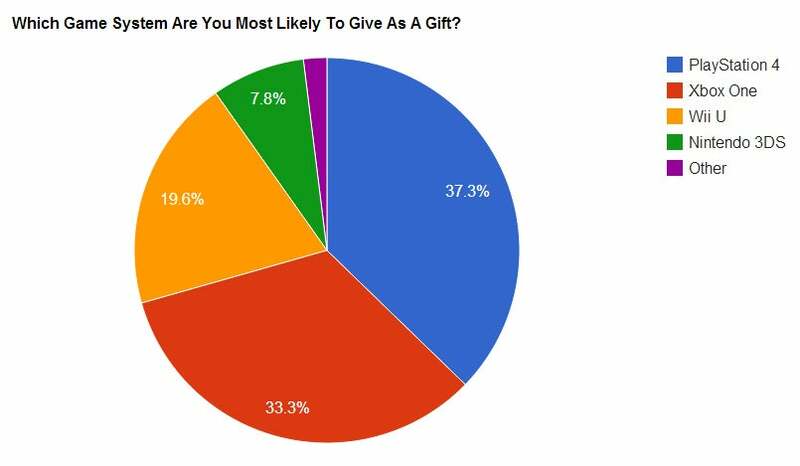 Only 7.8 percent of respondents planned to give the Nintendo 3DS as a gift. 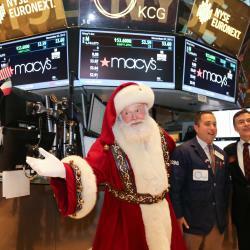 Will Stocks See A Santa Claus Rally?